I tried one of those gluten free pizza dough mixes months ago, not impressed, and had shelved the idea of ever having pizza again. However, I had been craving pizza again and when my husband saw a pizza commercial and said “yum pizza” I knew it was time to find a good recipe. Gluten Free Goddess to the rescue. I have used several of Karina’s recipes and they have all been delicious. And I figured nothing could be worse than the boxed mix. The list of ingredients is rather long. These are the flours/starches needed. This is not a hard recipe to create. 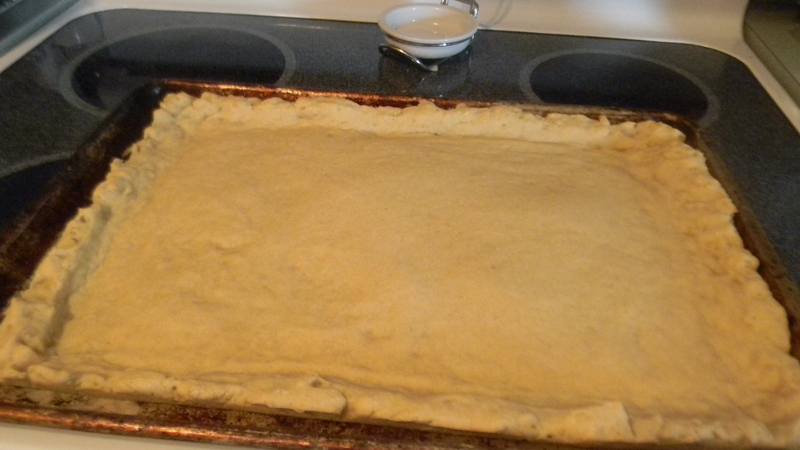 You mix the dry ingredients, add in the proofed yeast and the other ingredients, mix, press in the pans and let rise. If you use red sauce which I did you bake for 7 minutes, put the sauce on, and bake again for 3 minutes before putting on the other ingredients. I forgot to purchase some rice vinegar but had some red wine vinegar and it worked fine. You only need 1/4 tsp. The crust did shrink while baking but did not create any problems. I used a large rectangle pan instead of 2 round pans. One half was for me and the other half was for my husband. 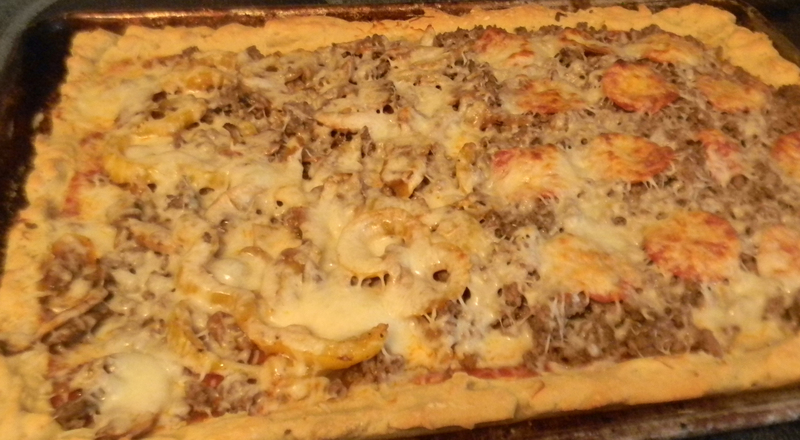 Hubs likes MEAT on his pizza and on mine I placed cooked yellow peppers, onions, and mushrooms. I have always used spaghetti sauce on my pizza and put a very thin layer on the crust. This crust turned out GREAT and even my husband said “its light and fluffy”. Please give this recipe a try! This entry was posted in Food and Drink, Gluten free, Posts and tagged Gluten Free Pizza, Gluten Free Pizza Crust. Bookmark the permalink.